Latest acquisition for Cordatus Property Trust. 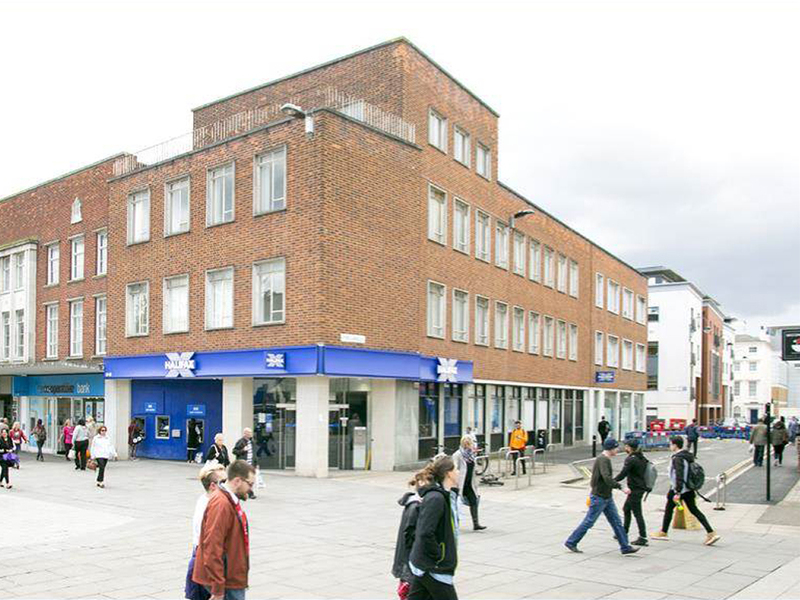 London, 13 August 2018 – Cordatus Property Trust (“CPT”) has acquired a prominent retail block in Southampton as it continues to deploy funds into growth-opportunity and income-generating assets in regional locations. In its latest deal, CPT has acquired the freehold of 63-65 Above Bar Street, Southampton, a prominent corner block just north of West Quay shopping centre. The unit is leased to by Bank of Scotland plc (trading as Halifax) on a new 10 year lease at market terms. The purchase price was £4.015 million reflecting a 6.1% NIY. The acquisition is CPT’s third this year following the purchase of a multi-let industrial estate in Thatcham (also in Hampshire) and a Travelodge hotel in Gosforth (Tyne & Wear). Cushman & Wakefield acted for Cordatus and Hartnell Taylor Cook acted for the vendor. The Cordatus Property Trust is a programmatic venture between CBRE Global Investment Partners (CBRE GIP) and Cordatus Real Estate (Cordatus). The Trust was launched in December 2015 and has an initial funding of £150m. The vehicle is targeting investment opportunities in strong micro locations, primarily in UK regional markets, with typical lot sizes of between £3m to £15m, to generate above market income distribution. Cordatus is a UK asset and development management specialist. Cordatus is fund manager for the Cordatus Property Trust, a recently-launched property fund focusing on sub £15m lot sizes across all sectors and regions of the UK property market. The fund has initial capital to invest of £150m. Cordatus also specialises in the work-out of distressed portfolios and uses its specialist skills in partnering with institutional investors on selective opportunities. Cordatus operates out of offices in Edinburgh, the Midlands and London. Our five property directors have over 130 years of asset and development management experience between them, largely within leading fund management and development companies. The directors are Tom Laidlaw, Michael Cunningham, Mike Channing, Gavin Munn and Paul Blyth. Cordatus’ expertise is focused on asset management and value creation through the accumulated 130 years experience of its principal directors.